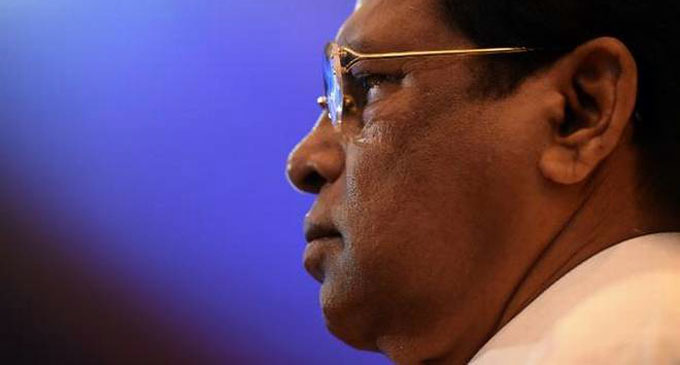 (FASTNEWS|COLOMBO) – Ranil Wickremesighe cannot establish democracy, which is lacking in his own party, President Maithripala Sirisena stated. 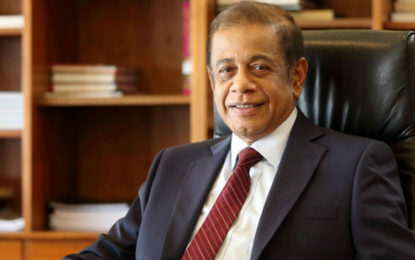 Ranil Wickremesighe who was the Party Leader of the United National Party (UNP) for 25-years, will not allow any member of the back benches to rise above him said the President further stating that he who speak highly of the law and the democracy of the country must establish democracy within his party. President Sirisena mentioned this at a discussion held at the President’s Office on Wednesday (05). The President stressed that the development process and the public welfare services should not be inefficient at any rate. All monetary allocations provided for the next monetary year should be spent properly and the needs of the public should be accomplished, instructed the President to the relevant Officers and to schedule the development plans precisely fort the next year. President Sirisena further stated that the officers are responsible and are bound to ensure that in-spite of the current political turmoil to carry forward the public services and development programs actively. President instructed to make plans to continue all the special projects conducted under the President’s Office with more efficiency and effectiveness in the year 2019. The ‘Grama Shakthi’ People’s movement which is focused on eradicating the poverty of people conducted under the President’s office should be carried with more strength than of the previous year said the President while explaining the importance of the coordinating officers who were appointed district wise to accomplish their duties properly. President paid special concern on the tree planting programs conducted Island wide under National Program for environmental conservation where he instructed the officers to make the program speedily taking the existing rainy condition a blessing. The progress was reviewed of the development projects conducted district wise while the President was grateful of the progress obtained by the special Presidential Task Force appointed to monitor development of north eastern regions within a short span of time. President admitted that the special Presidential Task Force appointed by him to accomplish the development needs of the North and Eastern Provinces answering the needs of the people of those provinces which were neglected within the past three-and-a-half-years is doing a great service.